The Ken Galluccio Cup (KGC) is the official European club championship lacrosse. It has been organised by the European Lacrosse Federation (ELF) since 2008 and gathers champions from several European countries in order to decide which European club takes home the cup. The tournament, originally created as the Champions Cup, was renamed after the death of Ken Galluccio, its creator and driving force. The KGC is today's largest European lacrosse tournament. Around 24 teams (12 men's and 12 women's) from over 15 countries fight for the European title. The tournament is held at a different European city every year. 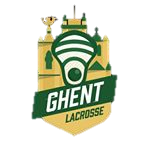 However, Ghent Lacrosse has been winning the bid since 2013 due to our strong organisation and good accommodation (Blaarmeersen, Gent). We even won a three-year bid in 2017 which enables us to organise the tournament in 2019 as well. Over the years, we have doubled the number of participating teams and turned the tournament in Europe's largest professional tournament. We hope to see you as a player, fan, volunteer or sponsor at KGC 2018! Check out statistics, ranking and teams from previous years!